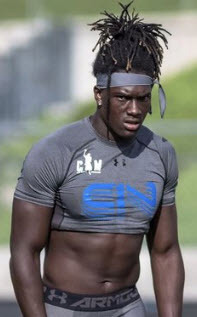 Final 2019 Football Recruiting: Targets and Surprises? Locking up the 22 verbals by signing them in the December LOI period was crucial for this 2019 football recruiting class, because the concerns I stated a few months ago have come true. The remaining four- and five-star players have tons of schools wooing them, and the probability of signing any on Wednesday are low, but there could be a surprise or two. We will also need see if a couple of new verbals come through with their LOI (Letter of Intent) as they have pledged. Lots to keep an eye out for on Wednesday! What are the Remaining Recruiting Needs for this 2019 Class? Coach Cristobal made it clear to the superb sites following recruiting (Duck Territory/24-7 Sports and ScoopDuck.com) that the Ducks needed more defensive backs and defensive linemen as top priorities. If they could pick up an extra receiver or linebacker along the way, they would swing for the fences on those positions as well. The number of players expected to sign on Wednesday is assumed to be either five or six, as we expect some players on the current squad to transfer out this winter due to lack of playing time. It is no surprise that Mario Cristobal wants bigger offensive linemen at every spot, including center. Thus, this 6’3″ 340 lb. prospect who is ranked as the best center in the west in 2019 class is an important target for the Ducks. Cristobal spent a ton of time with this young man at the Oregon Summer Camp and built a strong rapport that overcame the recruiting efforts of in-state Utah and Brigham Young, while also fending off Nebraska. He’ll take a church mission for two years and then enroll in school as part of the 2021 class. Hard-hitting safeties such as TJ Ward and JD Nelson helped set the tone for prior Oregon defenses, and this 6’1″, 192 lb. player out of Georgia could be the next one. It was a tough battle for him, as he had offers from USC, Tennessee, Michigan and Alabama. He was one of the top two coveted defensive backs available whom Oregon wanted badly to help build depth in the defensive backfield. This 6’0″ 175 lb. player out of Alabama had committed to Mississippi State, but Oregon’s cornerback coach Donte Williams began pursuing this talented cornerback when he did not sign with the Bulldogs during the early recruiting period. His talent at press coverage made him a prime prospect for six SEC teams who made an offer to him, including Auburn and Alabama. This was a key recruit for the 2019 class because of his skill and considering how thin the Ducks are at corner. The two players above were Oregon’s top prospects at their position and are academically ready to enroll at Oregon without any issues. It will be crucial that they sign on Wednesday, and I’ll be watching all day to see that it happens! This 6’3″ 280 lb. player from Memphis, Tennessee had originally committed to Minnesota, but did not sign in December, which opened up his recruitment. He has scholarship offers from four SEC teams, but had a terrific visit to Eugene the last two weeks, during which his family and advisers made great connections with the Oregon coaching staff. After the visit, we learned that Tennessee was coming after him hard and wanted him to visit this last weekend. Many thought he would go over to Knoxville and perhaps flip to orange. But that visit was cancelled. Then, many thought he was going to take a quick visit to Indiana, but that trip, too, was cancelled at the last minute. You can’t have enough talented defensive linemen. While many might point out that he is more suited to a 4-3 defense versus the 3-4 the Ducks run, the reality is that Oregon had four down linemen a high percentage of the time this last season. The Ducks need to load up! Oregon already has four wide receiver commits in the 2019 class, and the only reason to pursue Ford is because he is that good. Since he did not sign with USC in December, he is still available to all. The latest predictions have him sticking with his verbal to USC, though Washington is a contender for him as well. There has been a ton of gossip about this 6’3″ 195 lb. player from Orange, CA over the last six weeks, and while the Ducks are in the mix, it would be a stunner if Cristobal flipped him. This 6’2″ 170 lb. Orem, Utah wide out was committed to USC until all the drama hit with the changes on their coaching staff. He is especially skilled at using his speed to gain separation, and he reconsidered his position on the depth chart with the Trojans compared to his opportunities in Eugene. He was the offensive MVP in the Polynesian Bowl, and the Ducks were in good position with him after a great visit this last weekend. But the lack of a current WR coach at Oregon has hurt the Ducks chances, and he is slated to sign with the damned Huskies on Wednesday. (I said the “H” word, so pardon me while I turn to spit). This 6’4″ 334 lb. 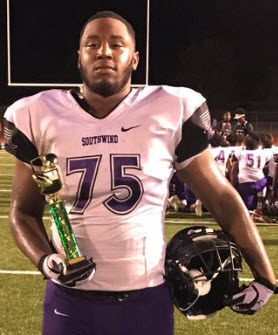 player out of Louisiana has been a primary target of the Ducks since “Ika” signed with LSU in December, yet it appears that the Tigers are going to clean up with both all-star Nose Tackles in 2019. The Ducks made a great impression on Sopsher at his official visit, but Alabama is also a threat to sign him as well. To add to the drama, Ishmael recently stated that he wanted to play with his brother Rodney, a JUCO defensive end, and both LSU and the Ducks made his brother offers for a package deal. Still a Surprise in Store? The recruiting gurus on both subscription sites doubt it, but every other year there seems to be a player who slips under everyone’s radar and shows up among the signed LOIs. I remember this guy with a funny name who Oregon signed when he was still 16 years old. WTH? (Educated abroad). There wasn’t anything about Patrick Chung out there until after the signing date, although that was before the days of Social Media and mass coverage. It seems that nearly every year the Ducks lose someone who verbally committed, and yet pick one up who was unexpected. Are there any surprises you think may show up in the next two days? Could Oregon Get a Key Transfer? 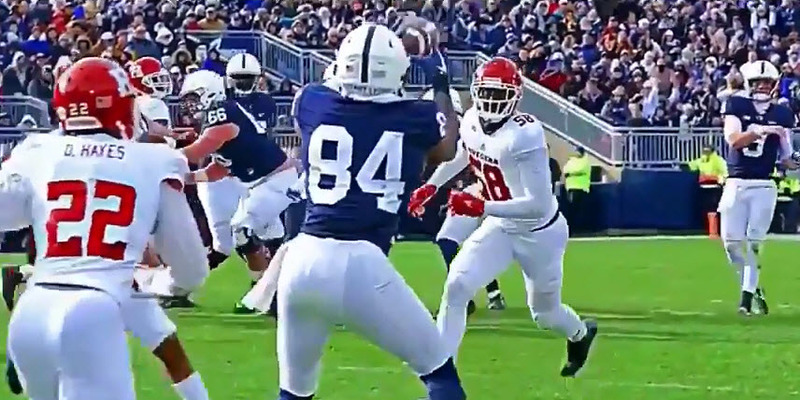 Juwan Johnson is a big wide receiver target (6’4″, 231 lbs) who is a graduate transfer from Penn State. He is super athletic, but has an issue with the dropsies on occasion. However, he has also made a lot of plays, with 79 catches for 1,053 yards over the past two years. He chose Penn State over Alabama years back and guess who was the key recruiting contact for Alabama at that time? With the two talking again, Johnson remembers what stood out about Mario Cristobal from the first time around as well. Holy Crap! We better keep an eye on this one, and we can’t help but do better with graduate transfers after the Tabari Hines fiasco. Quite a bit of fun video of this receiver is available. We’ll get into his career if he opts to play in Eugene. Even if we only sign the three verbals at this point, Coach Mario Cristobal will secure the greatest recruiting class in Oregon Football history, which points to fun times ahead!